District 4 comprises 27 square miles in the southeast corner of Santa Rosa County next to Eglin AFB and includes the unincorporated communities of Navarre, Holley by the Sea, Holley and Navarre Beach on Santa Rosa Island. A bedroom community with a population of almost 40,000, District 4 is attracting a growing permanent and tourist population due to its renowned relaxed and family-friendly atmosphere, four miles of Gulf beachfront, and the Gulf Islands National Seashore. The Master Plan is needed to manage future growth, attract high quality businesses and jobs, protect natural resources, promote high quality design of public spaces, provide for parks and schools, and maintain public safety and municipal services– all of which contribute to the quality of life that residents have come to expect. The Final Draft District 4 Master Plan has been updated based on comments received during the Public Review period. Thank you all who provided comments! The Final Draft District 4 Master Plan and companion Appendix can be viewed by clicking on the document covers below. Matrix Design Group presented the Final District 4 Master Plan to the Santa Rosa Board of County Commissioners on January 24, 2019, at the Board of County Commissioners Meeting Room in the Santa Rosa Administrative Center in Milton, FL. The presentation focused on changes received during the public review period in November and December, 2018. After the presentation, public comments were heard, Matrix answered questions from the Board of County Commissioners and the Commissioners discussed the District 4 Master Plan. The Board of County Commissioners passed a motion to acknowledge receipt of the District 4 Master Plan. Matrix Design Group presented the Final District 4 Master Plan to the Santa Rosa County Zoning Board on January 23, 2019, at the Board of County Commissioners Meeting Room in the Santa Rosa Administrative Center in Milton, FL. The presentation included a presentation of what a master plan is, why the District 4 Master Plan is needed, explanation of the District 4 Master Plan elements, and next steps. After the presentation, public comments were heard, Matrix answered questions from the Zoning Board and the Zoning Board members discussed the District 4 Master Plan. The Zoning Board recommended approval to move the Master Plan forward for consideration by the Board of County Commissioners at their meeting on January 24, 2019. CLICK HERE to view the presentation to the Zoning Board. NEW! The Santa Rosa Board of County Commissioners acknowledged receipt of the District 4 Master Plan at their meeting on January 24, 2019. NEW! The Santa Rosa Zoning Board recommended to move the District 4 Master forward to the Board of County Commissioners for consideration at their meeting on January 23, 2019. 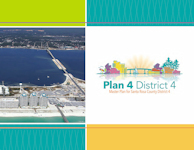 The Final Draft District 4 Master Plan and Appendix have been updated and can be viewed by clicking on the graphics under the heading “Updated District 4 Master Plan Documents” to the left. BOCC Meeting to present and accept the Final Draft District 4 Master Plan scheduled at their Special Meeting beginning at 6:00 PM on January 24th at the Board of County Commissioners Chambers, Santa Rosa Administrative Center. BOCC Presentation of DRAFT District 4 Master Plan held on October 25. CLICK HERE to view the presentation. 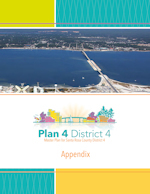 The District 4 Master Plan and Appendix are completed and can be viewed by clicking on the graphics under the heading District 4 Master Plan Document for Review. The Summary of Public Input from Open House #2 is posted to the website. CLICK HERE to view the Summary. Public Open House #2 held. Maps for the Open House posted on the Maps page under the Resources menu. Community Survey Results Posted. CLICK HERE to view the results. Photo Gallery updated with photos from the Public Open House #1. CLICK HERE for the Informational Brochure for the Master Plan Project. CLICK HERE for a summary of the input from Public Open House #1. Copyright © 2018, Matrix Design Group, Inc.